The Department of Modern Languages at Ohio University offers a complete series of courses leading to a bachelor’s degree (with or without teaching certification) in French, German, Spanish, and Russian. Courses are also taught in beginning and intermediate Italian and Portuguese. The diverse course offerings embrace all aspects of language, literature, and culture, including: reading, conversation, composition, language for business purposes, language for journalism majors (French), civilization, phonetics, stylistics, dramatic performance, methods of language teaching, audiovisual techniques, film, and the opportunity for study abroad, independent study and internships. Students can benefit from the many services available in the Language Resource Center, located in 115 Gordy Hall. Almost all language classes are taught in Gordy Hall. 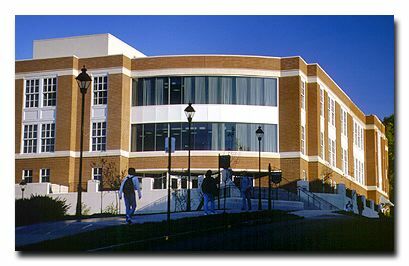 The Ohio Program of Intensive English (OPIE) and the Linguistics Department are also located here.